CMI now offer a dedicated pathway to Chartered Manager for Chartered Engineers (CEng) and Incorporated Engineers (IEng) with 5 years' management experience. Chartered Manager, the highest management status you can achieve, demonstrates your managerial competence and functional ability and provides recognition of professional management capability. Becoming an incorporated or chartered engineer is a great achievement, but you don't have to stop there. Chartered Manager is the ideal partner to CEng and IEng, endorsing your managerial credentials as well as your technical and professional expertise. There are a number of ways to attain Chartered Manager status, use the Start Your Journey tool below to find your optimal route. WHY BECOME A CHARTERED MANAGER? DO YOU HOLD MEMBERSHIP OF A PROFESSIONAL ENGINEERING BODY? ARE YOU A CHARTERED ENGINEER OR INCORPORATED ENGINEER WITH 5 YEARS MANAGEMENT EXPERIENCE? Your recommended route: Experiential route - to find out more click here. Your recommended route: Qualified route - to find out more click here. Your recommended route: Exemption route - to find out more click here. We will send you an assessment form and assign an assessor. Complete the assessment form, with advice from your CMI assessor. Complete a formal interview by telephone. Your assessor will draft the assessment form for you. We will assess your application and corroborate your evidence with your nominated referee(s) and then confirm the result. You have 12 months to complete the assessment process, but could become a chartered manager within six weeks. * A discounted annual CMI membership fee is also payable. 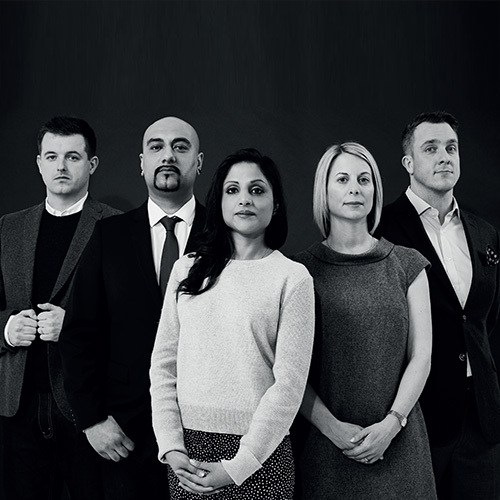 Find out how Chartered Managers add value to their employers.